David A. Dornfeld, professor of mechanical engineering at the University of California, Berkeley, founding faculty director of its Jacobs Institute for Design Innovation, and a leader in the College of Engineering, died of a heart attack on March 27. He was 66. Dornfeld was a renowned manufacturing expert, widely admired as a teacher and well- regarded as a thoughtful leader. He joined the Berkeley faculty in 1977 and made significant contributions to an array of manufacturing problems, in particular, to green and sustainable manufacturing and to precision machining and planarization including machine interoperability. Dornfeld was born in Horicon, Wisconsin, in 1949. Growing up, he and his brother, William, would accompany their father, who worked at John Deere, to the factory floor. Years later, Dornfeld attended the University of Wisconsin (UW)–Madison, where he met his future wife, Barbara, and where he stayed for graduate school. The boy who watched the assembly of tractors with his dad and brother eventually wrote his Ph.D. dissertation on the use of abrasive machining in production engineering and graduated UW–Madison in 1976. After a one-year faculty appointment in the Systems-Design Department of UW–Madison, he accepted an assistant professor position at Berkeley in mechanical engineering. One of the first students Dornfeld advised was Roberto Horowitz, the mechanical engineering department's current chair. "Dave's leadership was marked by common sense, humility and well-timed moments of humor," Horowitz said. "He was a genuinely good-hearted person, who always found the means of putting everyone at ease. He was able to direct discussions in the most positive direction, no matter how difficult an issue." "We remember Dave as an advocate for our students and as a powerful force for good," said S. Shankar Sastry, dean and Roy W. Carlson Professor of Engineering at Berkeley. "I still remember fondly how we all worked together to put together a College Robotics, Automation and Manufacturing Program (RAMP) in the mid-1980s." By 1982, Dornfeld was emerging as a leader both on campus and beyond. That year he won an award from the Society of Manufacturing Engineers, recognizing outstanding work by a young engineer in the field. Dornfeld's early research focused on automated welding. In 1986, he, along with mechanical engineering professor Masayoshi Tomizuka, organized a symposium in Japan called the Japan USA Symposium on Flexible Manufacturing, which continues biennially to this day. He served as president and member of the Scientific Committee of the North American Manufacturing Research Institute (NAMRI/SME). In 1989, Dornfeld was recognized for his teaching, winning the Pi Tau Sigma Excellence in Teaching Award. Outside the classroom, he mentored 55 Ph.D. students, many of whom have gone on to become leaders in academia and industry. He consulted and advised countless other graduate students and, most recently, became a champion for undergraduate research opportunities through his position at the Jacobs Institute. Also in 1989, Dornfeld became a full professor of manufacturing engineering and was appointed the director of the ESRC (Engineering Systems Research Center) at Berkeley, a position he held for a decade. From 2001 to 2008 he was the associate dean of Interdisciplinary Studies, College of Engineering. From 2010 till December 2015, he was the chair of the Department of Mechanical Engineering. He served as the faculty director of the Jacobs Institute of Design Innovation from September 2015. He also participated in two Academic Senate committees: the Committee on International Education (1994–1996) and the Committee on Committees (1998–2000). Dornfeld was a prolific researcher. He published about 400 papers, wrote three research monographs and contributed several chapters to books. His scholarly production resulted in many awards and recognition. The relevance of his research to industrial practice is reflected in patents he received. In the early 1990s, he was awarded four patents related to his research on acoustic emissions measurements, a method of using sound to monitor the status of manufacturing processes in wood composites, metal and plastic. During the 1990s, Dornfeld began researching chemical-mechanical planarization (CMP), a hybrid process of chemical etching and abrasive polishing used in high-precision semiconductor and microelectromechanical systems manufacturing. In the mid-2000s, Dornfeld obtained three patents relating to CMP. Dornfeld was named the Will C. Hall Family Professor of Engineering in 1999, and from 2001 until 2008, he was the college's associate dean of interdisciplinary studies. In 2005, Dornfeld was appointed the special division deputy for the Engineering Division at the Lawrence Berkeley National Laboratory. During the mid-2000s, Dornfeld founded the Laboratory for Manufacturing and Sustainability at Berkeley. His laboratory was a hub for constant innovation in manufacturing research and education that spanned worldwide interests such as data analytics for smart manufacturing, manufacturing technologies for emerging economies, artificial photosynthesis and design for sustainability. Dornfeld's lab was also inclusive. At lab meetings women often outnumber men. "Dave Dornfeld was a wonderful mentor and advisor," said former student and sustainability consultant Nancy Diaz-Elsayed. "He created a research environment where his students weren't afraid to take risks and explore unconventional paths." As chair of the mechanical engineering department, Dornfeld was instrumental in representing the university as part of a $500-million initiative launched by President Barack Obama to bolster American manufacturing. The program, called the Advanced Manufacturing Partnership (AMP), was well-suited to Dornfeld's expertise, as it sought to convert university-based manufacturing research to technological solutions deployed by industry. The AMP program led on to the National Network for Manufacturing Institutes (NNMI), one of which was funded on June 30, 2016. The Smart Manufacturing Innovation Institute, headquartered in Los Angeles, California, brings over $140 million in public-private investment from leading universities and manufacturers to develop smart sensors for use in advanced manufacturing. Berkeley will be the 'NorCal satellite' for such applied research and workforce retraining. Over the course of his career, Dornfeld won numerous awards for his contributions to manufacturing research. He was a Fellow of the American Society of Mechanical Engineers (ASME), receiving ASME's Ennor Award in 2010. He was also a Fellow and past director of the Society of Manufacturing Engineers (SME), and in 2004, was awarded SME's Frederick W. Taylor Research Medal. In 2013, he was elected to the National Academy of Engineering. He was named vice president of the International Academy for Production Engineering (CIRP) in August 2015. Other honors include the Takagi Prize, the Charles F. Carter Advancing Manufacturing Award and the M. Eugene Merchant Manufacturing Medal. Dornfeld was an astute leader. He was willing to listen and include various viewpoints in his decision-making. He was also an adept visionary. 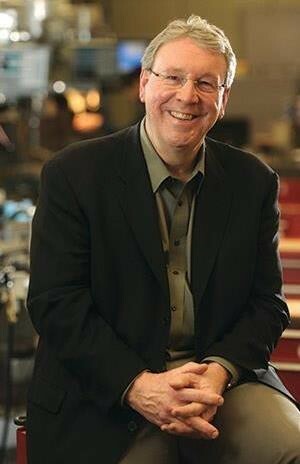 He was instrumental in founding the Jacobs Institute for Design Innovation on campus, a new model for engineering education that exposes undergraduates to the process of technological innovation, collaborative thinking, rapid prototyping, digital fabrication and business development. Dornfeld was chosen to lead the institute after an extensive international search. Both personally and professionally, he was known for his warm and approachable personality. He is remembered for his sense of humor, which often defused contentious situations. David Dornfeld, a friend and colleague of many, is survived by his wife, Barbara, and his brother, William.